True story: before making this garlic bread, I had only ever eaten store-bought, frozen garlic bread. Judge away. It’s quick, easy and usually tastes pretty good. However, whipping up a homemade version was something I had wanted to do at some point, and when I made the cheesy baked tortellini, I thought it was the perfect opportunity to give it a try. There’s nothing quite like sopping up extra sauce with a big piece of crusty bread, am I right? So, the verdict on homemade garlic bread… it takes maybe five minutes longer to prepare than the frozen stuff and it is infinitely better. Words don’t do it justice, really. The outside of the bread is crusty, the interior soft and chewy, and the topping is a perfect combination of buttery, garlic-y, and cheesy. 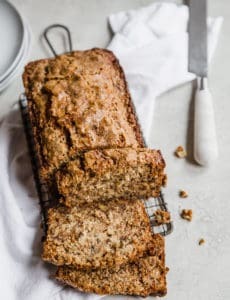 Confession: I totally stole some pieces of bread, slathered it in the topping and ate it before the loaves even went into the oven. It was heaven. If you’ve never made garlic bread from scratch, do yourself a favor and pick up a big loaf of French bread the next time you’re at the grocery store and whip this up to go along with dinner. You’ll be fighting over the pieces that are left! 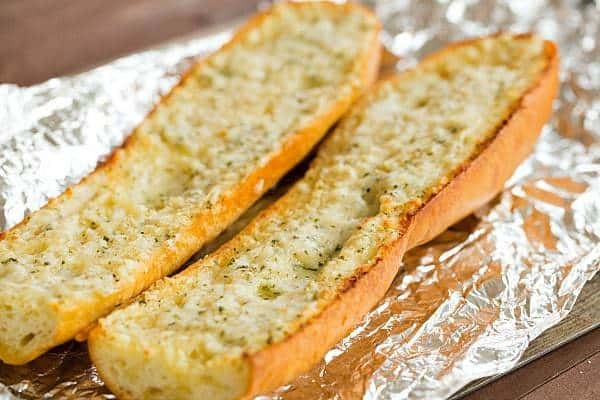 The best garlic bread you'll ever eat... it blows those frozen packages out of the water! 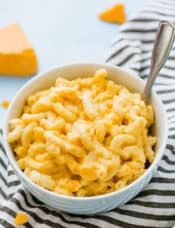 Using an electric mixer, beat the butter, Parmesan, mozzarella, garlic powder, parsley, pepper and salt on medium speed until smooth and fluffy. Spread the butter-garlic mixture evenly over each half of the French bread. Wrap the bread tightly in foil and bake for 10 minutes. Open the foil and lay the bread cut-side-up on the foil and bake for an additional 5 to 10 minutes, until the bread is golden brown. Slice and serve immediately. Leftover bread should be stored in a zip-top bag in the refrigerator for up to 2 days. Regarding your garlic bread. I make my own as well and truly can not cook most Italian meals without Pampered Chef Italian Seasoning. I am not sure how long they have sold that, I know over 10 years. I mix with fresh smashed garlic, olive oil, butter and put in a jar in refrig . I always have on hand. Real , real delish. 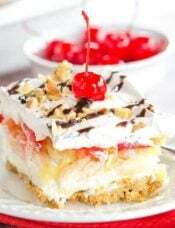 I so enjoy your recipes. Thanks for sharing. The first time I made this I didn’t have mozzarella, so made it without. Then I made it with the mozzarella. 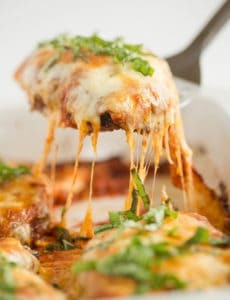 I prefer it without the mozzarella and think just the butter and seasonings would be very good, too. But I tend to prefer things plainer. I don’t understand-am I wrapping each piece of bread individually in foil or putting them back together and then wrappings? Hi Amy, You are putting them back together, then wrapping the whole loaf in foil. Outstanding! Finally a garlic bread recipe I can count on and that doesn’t use garlic salt, which I’ve overdone every time — I just don’t have the touch with garlic salt and banish it from my spices. This recipe made excellent garlic bread; my future son-in-law actually put it together and supervised it in the oven. 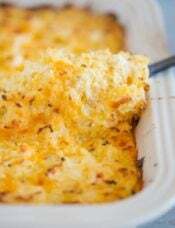 I think it took longer than this recipe indicates to get the toasty almost burned edges that we like but it was delicious–and he just called and asked for the recipe, so it was also outstanding for him! So good I had to share!! Greaty recipe. ours turned out lovely. Thanks for sharing. I made this recipe (minus the parsley because I didn’t have any) tonight. It was a HUGE hit among the family. So delicious! Thank you! 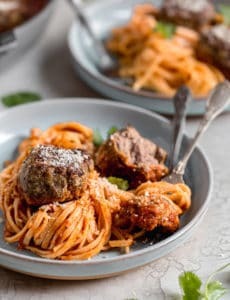 Just made your garlic bread and paired it with the spaghetti and meatballs recipe you posted a few years back. Awesome on both counts! Comfort food at it’s best. Good food always puts a big smile on my face! Thanks for keeping up your blog. The garlic bread was delicious but we could not use up all of the butter mixture so it is in the refrigerator. How long will the butter mixture keep? I want to give some to my sister, too, but I want to make sure it will not spoil…..i think it has been about one week since we made it and we want to get a better bread also. What do you think about the time the butter, cheese, and other ingredients will keep in the refrigerator once mixed? Thanks! Hi Kathy, I’m glad you enjoyed it! I would say the butter mixture should keep for a couple of weeks. Wow, Michelle, thanks a lot! I sort of thought that but wanted to be sure! 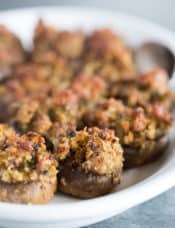 Our family loves your recipe including my TWO sisters and their families! Take care! Kathy, I agree with you. In my opinion, it is WAY too much butter. Two sticks! 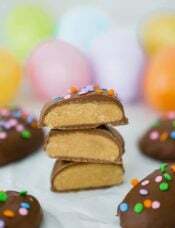 I make this recipe all the time, but I just use one stick and even that is a bit much. It is so delicious, though. You can’t go wrong with BEB’s recipes. Also, the leftover butter mixture will stay fresh just as long as the regular butter that sits in your fridge for certainly longer than a week. Enjoy! Oops! I misread Michelle’s reply. I thought she said “should keep a week,” so disregard my “certainly longer than a week.” My apologies. 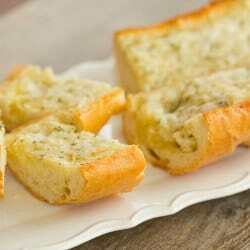 I have such a weakness for garlic bread! I can’t turn it down! I love dipping it in the sauce. This looks like a really good one. 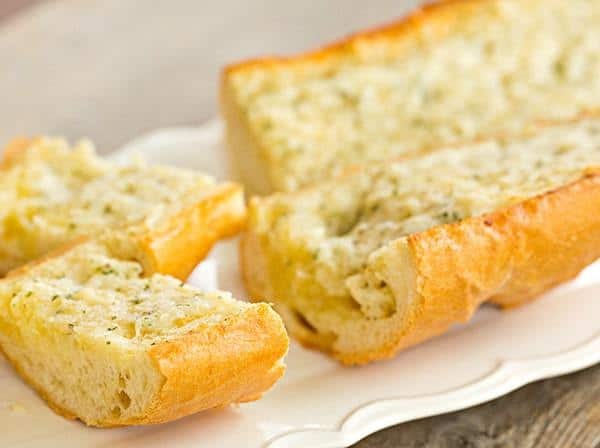 I made this garlic bread the night you posted the recipe and it was fabulous! Thank you so much. I have been searching for a wonderful cheesy garlic bread recipe and now I have one. Yay! Yum!! I made this last night and it was Great! I will surely make it again! After the 10 mins of baking – I then took the foil off and broiled till lightly brown. Mine looked just like yours! Everyone loved it!! Yum! I made your cheesy baked tortellini and the garlic bread for supper on Wednesday night. So good! My girls both took leftovers in their lunches yesterday and wanted more again today! Studying this information So i’m glad to convey that I have an incredibly good uncanny feeling I came upon just what I needed. I most certainly will make sure to don?t put out of your mind this site and provides it a glance on a continuing basis. I’m probably in the minority, but I don’t like the crust getting all hard and dry, so I slice up the bread and spread the mixture on each slice and put them under a broiler until bubbly and just crispy. God bless the garlic bread! Homemade pretty much always trumps store-bought. Garlic bread is one of the greatest gifts to our earth. I can’t get enough of it! I was making some different recipes for my blog this week and I couldn’t help but eat so much of it! This looks amazing! We often just pick up the ready to bake store bought kind, but I will definitely try this next time instead. Thanks for sharing! yes! i too prefer garlic powder over fresh garlic :) i use 50/50 butter and evoo and sprinkle poppy and sesame seeds on mine…yum! i skip the foil part and just bake it on a cookie sheet. otherwise, pretty much the same. I love garlic bread! So yummy! Homemade is the best. Yum!! I have been making a similar recipe for years. 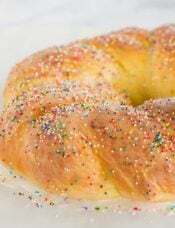 Can you post a link for your French bread recipe? I know there’s one on the site but can’t seem to find it, thanks! 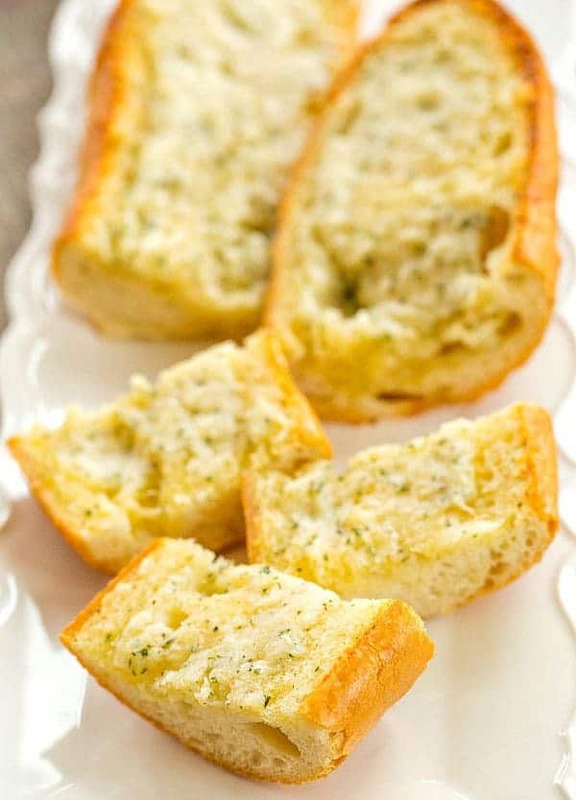 I do garlic bread similar to this – only I cut it into slices and then spread the butter on each slice. Also, I don’t cover it in foil first – just slap it into a broiler until it’s bubbly, then turn off the broiler and let it stay in the oven for about 7 minutes or so to get it crispy. How is that baby doing? I’m dying to see pictures!